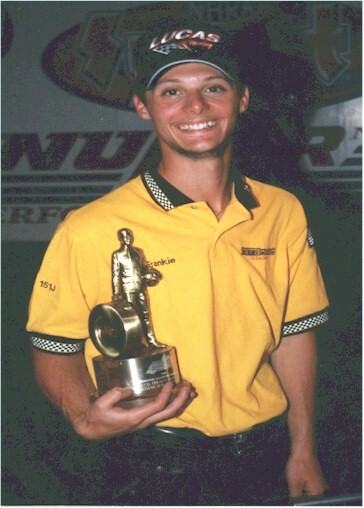 After following in his brother's footsteps by winning the Division 1 Street Eliminator category at the Northeast Division Bracket Finals in September, Vinnie stepped out of Frankie's shadow by taking home the NHRA Sportsman World Championship with a final round victory over Jeff Seither at the NHRA Finals in Pomona, California. Vinnie, who was one of seven vying for the crown, used the time trials held Friday and Saturday as a tune up for eliminations on Sunday. Vinnie drew the Mustang of Kevin Rolph in round one, and used an .070 to .115 holeshot to hold off Rolph, who came up just .001 short of the round win. That moved Vinnie up the ladder into the semi-finals, where he would face Division 7's Bruce Meyer. This one was over at the start as Meyer fouled out, handing the free pass into the final to Vinnie, who ran a 13.09 after nailing down an .060 light. Only nine thousandths of a second separated Vinnie and final round opponent Jeff Seither on the starting line, with Seither scoring the slight holeshot, .030 to Vinnie's .039. At the top end though, Vinnie was able to push Seither out the back door by five thousandths of a second and pull of the win, as his .03 over 13.11 beat Seither's breakout 13.24. "I can't believe it," Vinnie said. "I knew that I wanted to do better than Frankie did here last year, but to be able to pull this off in my first year in a big car is amazing. We almost didn't qualify for the Bracket Finals, so to be able to do that much less win the Division and now this is the icing on the cake." 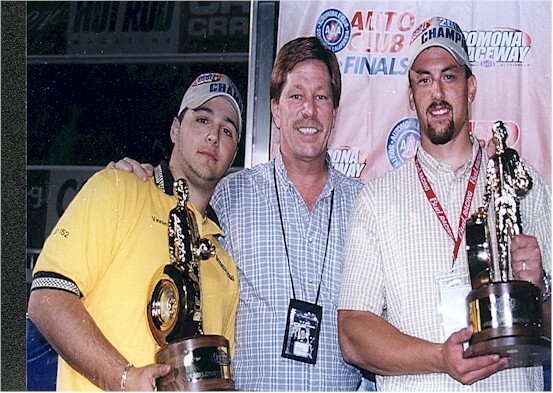 Vinnie made it two straight Bracket Finals Street Eliminator wins with a final round victory over Bob Larrison in the final round of the event again held at Cecil County Dragway. Vinnie scored the biggest win of his career in the same car on the same track that brother Frankie won at last year. "This is awesome!" Vinnie exclaimed after the final round. "I knew that if I stayed decent on the tree and if Dad had the car dialed within a few hundredths each round, we would have a chance." Vinnie used a .543 light and an .01 over 12.93 to make it past the quarterfinal round. The win in the quarters gave Vinnie the bye to the final, which he needed as a tune up for the money round. 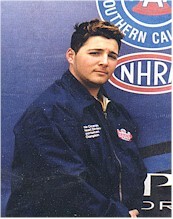 On the single, Vinnie ran a 12.86 after recording a .558 reaction time. "The bye run was important because we knew the car was going to pick up, but we didn't know how much," Vinnie said afterwards. "When I saw the 12.86 come up, I knew that the bye was the break we needed because I didn't know if I could have covered that much on the top end." Waiting for Vinnie in the final would be the Malibu of teammate Bob Larrison. The race was over as soon as it began as Larrison fouled out, handing the automatic win, the divisional title, and the trip to California to Vinnie, who ran a dead-on 12.85 on the victory lap. "When I saw the win light, I was like 'You have got to be kidding me!'" Vinnie said. "My goal for the event was to go the farthest out of everyone from Island. To do that, I had to win, so I guess you could say I accomplished my goal and then some." The word almost could definitely be used to describe this past weekend's racing escapades for the Tax Bracket Racing Team. Frankie and Vinnie, enjoying a rare weekend off of the LODRS Division 1 trail, made the trek to Island Dragway to race their bracket cars in Street eliminator. The day ended with the two brothers almost making it a brother vs. brother final round, and Vinnie almost making it a day in which he nailed down his first win since stepping out of the Jr. Dragster at the beginning of the season. Frankie started his march to a semi-final finish by getting past a red-lighting Tom Woods in round one. Frankie then used a sizeable holeshot to get past John Juray in round two, and got past a red-lighting Jack Kemp in round three. Vinnie used a .535 light to get past his round one opponent in round one, and received the bye run in round two. Vinnie then got past Bruce Cooke in round three, setting up a semi-final match up with his brother. The race between the two brothers was over as soon as it began as Frankie red-lighted away his chances, handing Vinnie the automatic win and the free pass into the final. "Vinnie was a little bit better than me on the tree all day, and he pretty much knows all of my secrets, so I knew that my only chance to beat him was to get him at the tree," Frankie said. "I took a shot and missed, but he would have been tough anyway with his (.502) light." Vinnie then died by the same sword that he lived on in the semi-finals as he fouled out against Tom Henion in the final by a mere twelve thousandths of a second. "It was a great day, no doubt, but I had the race," Vinnie said. "Henion was off the dial enough where if I was green, I know I could have backed into him, but when you give the race away on the starting line, it doesn't matter. Chalk another one up on the chart and hopefully we can come out and go the one extra round the next time." 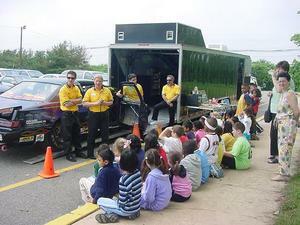 Before leaving for the U.S. 13 Dragway LODRS Divisional Event, Frankie and Vinnie Cicerale made a stop on the way: Randolphville Elementary School in their hometown of Piscataway, New Jersey to speak at the school's Career Awareness Day's activities. Frank Cicerale talked to the students about how math and science plays a crucial role in his job of dialing the race cars, while Marian explained to the students about numerous things, including her job. 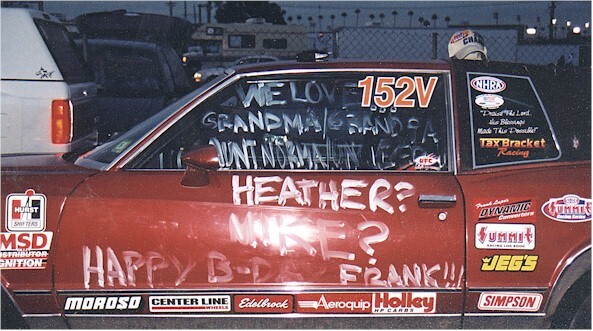 Frankie spoke to the students about the safety aspects of the sport and the cars, while Vinnie showed the students what he does while in his Misfits-sponsored 1987 Ford Thunderbird Super Street car. The presentation concluded with Vinnie starting the Thunderbird, much to the delight of the students and teachers. "This was really cool," Frankie said. "The students had a pretty good grasp on what we do, and if they didn't, they caught on really quick. I think the best part was when Vinnie started the Thunderbird. The kids jumped as if they didn't know what it was, and then you saw the smiles get bigger and bigger." "This was awesome," Vinnie also said. 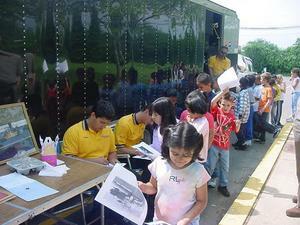 "It was really easy to relate to the kids, and they thought the car was really cool. They got a real big kick out of the whole presentation when it came time to start the car. I just didn't think I would be signing as many autographs as I did! I don't think I have ever signed my name so fast on so many pieces of paper in my life, but it was cool." Following his first round win at the re-schedule Maple Grove LODRS divisional event a few weeks prior, Vinnie kept up with his winning ways at the U.S.13 Dragway National Open held at U.S. 13 Dragway in Delmar Delaware as he scored a third round finish. "We had a good weekend," Vinnie said. "I was on the tree all weekend, and Dad had the car dialed pretty close. I made one blunder during eliminations, but I lucked out." That minor blunder came in his round two race. "The throttle-stop numbers in the box got reversed, so the stop was closed for a majority of the run," Vinnie said. Vinnie got the win, however, when his competition ran under the 10.90 Super Street index, handing Vinnie the win. Vinnie then took a tough third round loss to Neal Vacarro. Vinnie had the better of the two lights, .501 to Vacarro's .506, but at the top end Vinnie kept his foot planted too long as broke out by a scant six thousandths of a second, handing the win to Vacarro. "I pedaled once in the lights and went to pedal again, but my foot got hung up on the saddle," Vinnie said afterwards. "If I had been able to pedal that one more time, I'm pretty sure we could have gotten the round. It was a good day overall though; I'm happy."